Hi Bartosz, thanks for having accepted and taking the time to answer our questions. You had a great first season and the supporters truly love you. #1Your second Magpies' season has started. What do you expect from this season? "I want to still improve on my game and as a team. We want to be competitive. I know we've had a hard start of the season, but, you know, the season is long. We want to start our season in the next game against Walsall and hopefully we gonna win that game and move forwards". Do you think the team is stronger? And where you think we can finish in May? "Yeah, obviously we've lost a couple of decent players, but also we signed few good ones. Danny Haynes, Mark Fotheringham and few others. On the paper we are looking really good and we got spells in the game where we're playing some football. We need to keep going". #2What is the worse feeling: to pick up the ball out of the goal or to take a kick in the face by Alan Sheehan? Also in Italy the newspapers talked about that scene. "Ahah. That was quite funny to be honest 'cause I didn't expect it. He kicks me...obviously he didn't mean that, it was quite painfull, but I was right to be fair. It wasn't a nice feeling to be honest, but it's happened, but you know...I think the worse feeling is picking the ball out of the net, because in every game my target is to keep the cleansheet and I hate to concede a goal. So I pick conceding goal as the worse feeling". #3When you were a child in Poland, which team did you support? "I've always supported Man Utd, that was my team. I had posters, items on my wall. Man Utd, especially Peter Schmeichel, he was my hero". #4Who's the best player you've played with and against? "I think with he's gonna be..Ricky Lambert. He was unbelievable. He proved last night scoring for England and I'm so happy for him, He's such a good person and unbelievable player. In training session is scoring for fun and in the game as well. I'm so happy for him. Yes, he's the best player I've played with. And against he's gonna be probably..quite few like Tevez, Ryan Giggs, Sergio Agüero...you know, hard to pick. They're all like the best players in the world". #5This is a thank you from Paolo, who's asking a question from his son Romeo. After the Stevenage game (season 12/13) you gave Romeo your gloves, it was a really nice gesture from yourself. Romeo would like to ask how do you train for penelties and how did you became so good at goalkeeping? "I started in goal when I was only ten, and the only reason I was in goal was because I didn't like to run. I become a professional goalkeeper 'cause I has always worked hard set my target really high and then play as best as I can. That's what I can say..keep working hard and follow your dreams.". #6What would you suggest to eat to someone making their first visit to Poland? "We've got many nice traditional dishes like pieroghi, bigos, soup made from beetroots. It's very nice. My wife cooks polish food..I really enjoy polish food.". 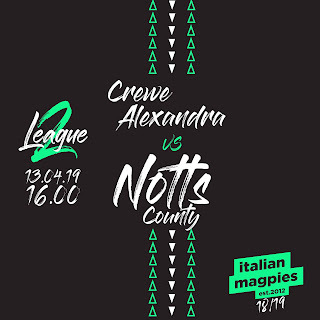 We'd like to thank you once again for being so king replying our questions, but most of all we wish for you to be strong and have a great season as Notts County's goalkeeper. Many thanks to Bartosz Bialkowski, Andy Black and Dane Vincent. 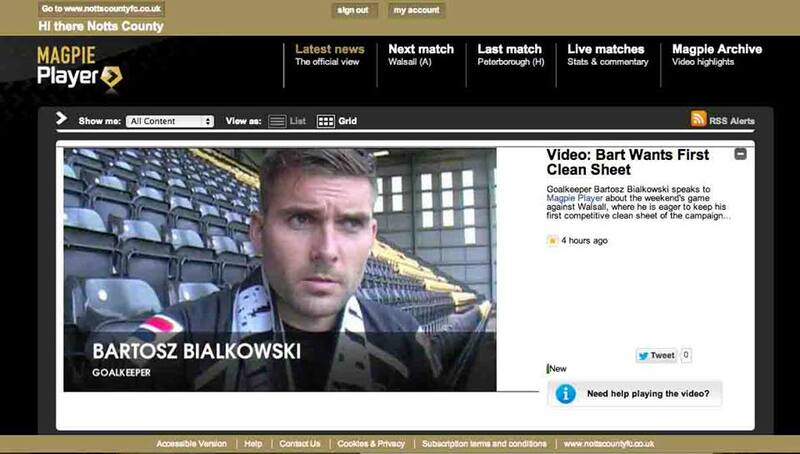 On the same day, Bartosz had the interview for the Magpie Player. He was still wearing the Italian Magpies' scarf.